After a national search that attracted a wide array of candidates from across the country, Tim Miller has been named the next vice president for student affairs at James Madison University. It will be a homecoming of sorts for Miller, who earned his bachelor’s and master’s degrees from JMU before embarking on a successful career focused on student life. 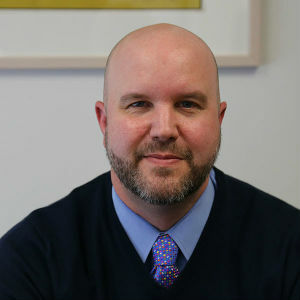 Miller is currently the associate dean of students at the George Washington University in Washington, D.C., where he has overseen the creation of GW’s Center for Student Engagement and is responsible for many cocurricular aspects of student life—including residence life, student organizations, access and retention, leadership and Greek life, among others. Miller has served in various student affairs capacities at GW since 2002, and previously worked with community service programs at the University of South Carolina and at JMU. Miller replaces Mark Warner, who is retiring after serving as vice president for the past 20 years. Warner also served in various capacities at JMU for 20 years before becoming vice president. Miller says it is an honor to be selected to succeed such a JMU icon. Miller earned his bachelor’s degree in political science from JMU in 1996, followed by a master of education in college student personnel administration degree from JMU in 2000. He holds a doctorate in education from the George Washington University’s Executive Leadership Program. Miller is married to Jamie Jones Miller, who is a 1999 JMU graduate and former president of the JMU Alumni Association. Miller’s appointment is effective June 1.